The class, sophistication and unparalleled beauty of San Sebastián make it one of the most mesmerizing places to visit on the Iberian Peninsula. Most visitors are wise to come on an empty stomach, for this sparkling pearl on the Atlantic is also considered Spain's king of cuisine. 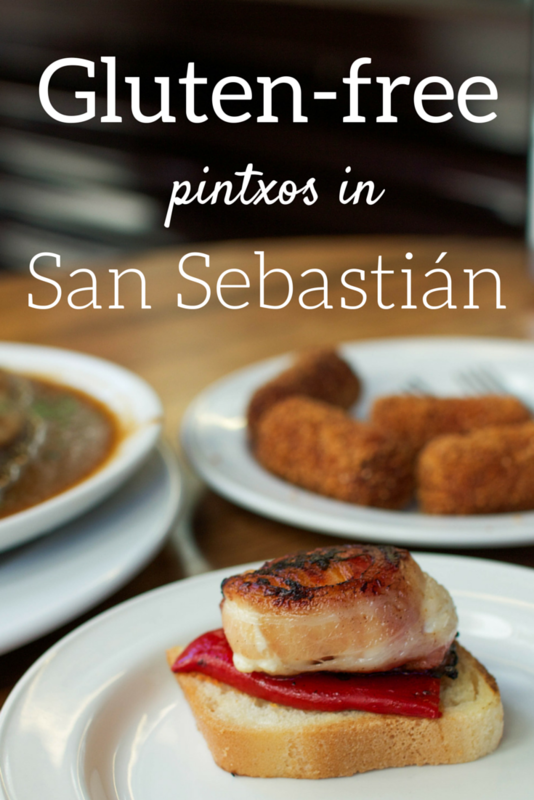 While San Sebastián is home to the highest number of Michelin starred restaurants in the world, its famous pintxos are the beating heart of Basque gastronomy. 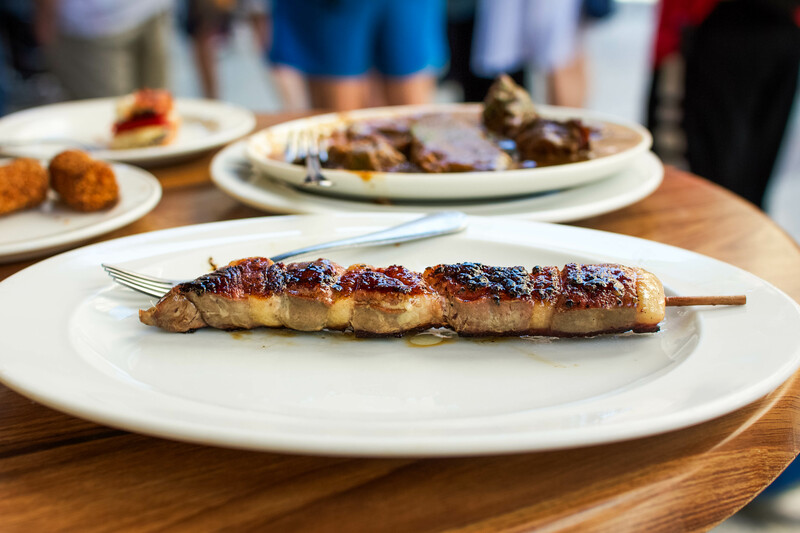 A pintxo, named after the Spanish word for spike, is a tapa held together with a toothpick or skewer. Most of these savory appetizers are typically served atop a small piece of bread. 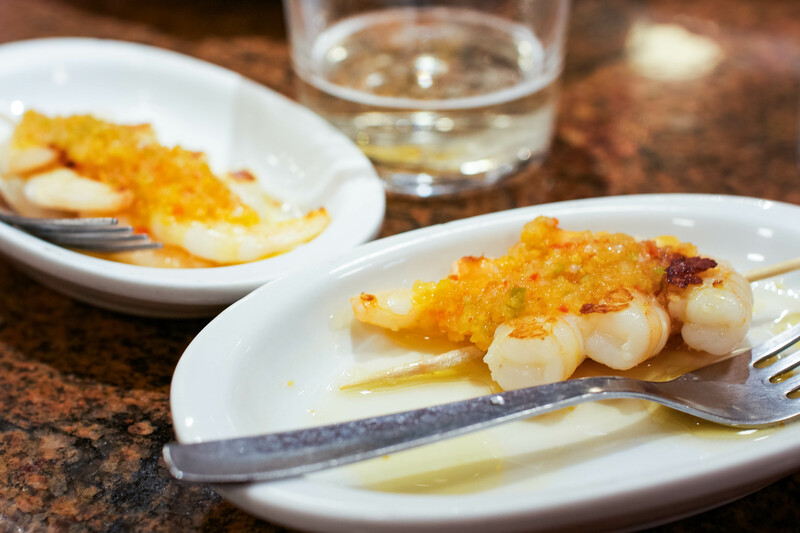 The Basques have mastered the art of devouring pintxos through El Txikiteo, otherwise known as pintxos crawling. 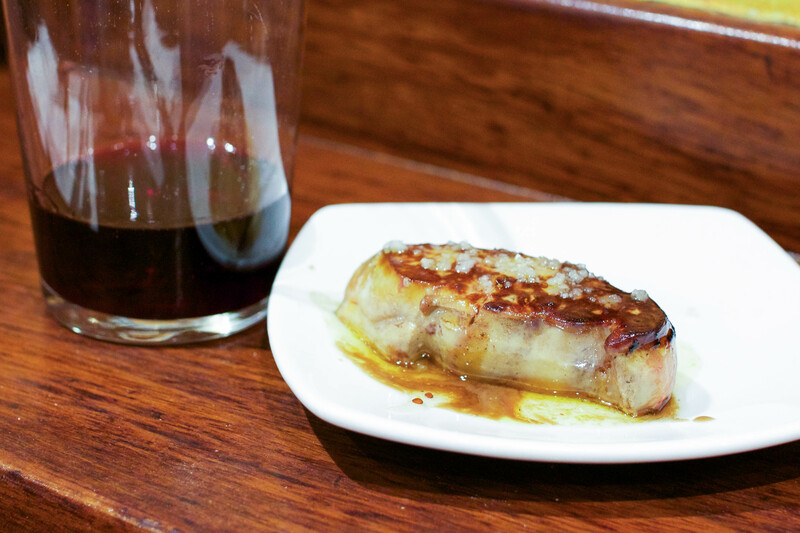 Hopping from bar to bar in search of the best small dishes to share with friends has become one of San Sebastián's most revered traditions. 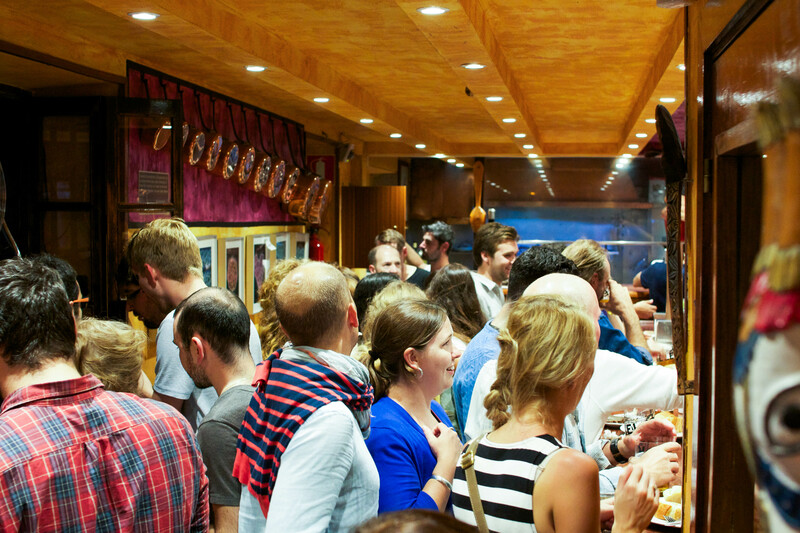 Every afternoon and evening, you can find hordes of hungry Basques bouncing between pintxos bars in San Sebastián's Parte Vieja, or Old Town. As delectable as these bread-based finger foods may be, this tradition assuredly sounds like a Celiac's worst nightmare. 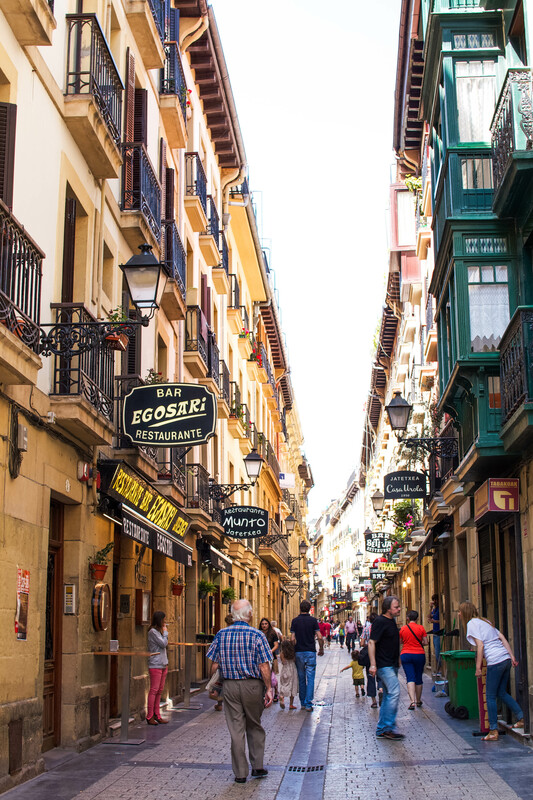 Upon traveling to San Sebastián, the supposed gastronomic capital of Europe, all I heard was talk of the enticing pintxos bars abounding in the town's old quarter. Instead of getting excited about this acclaimed foodie heaven, I felt an impending sense of dread. 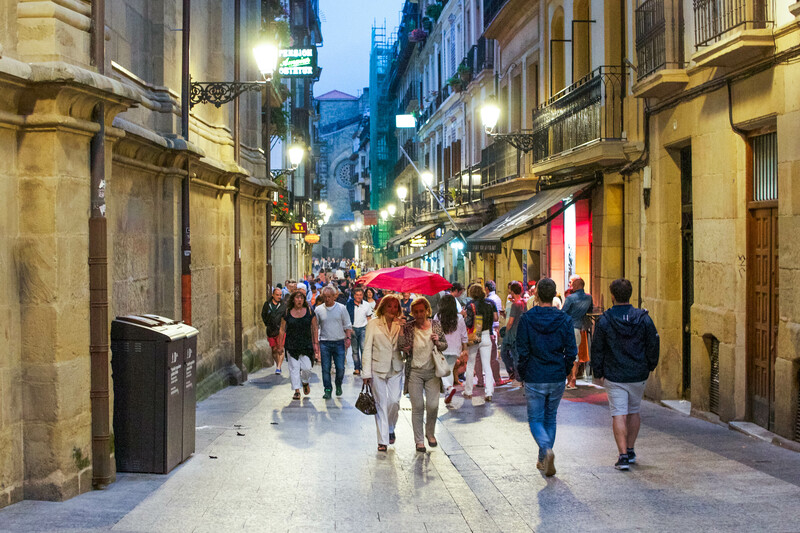 How would I survive eating gluten-free in San Sebastián? 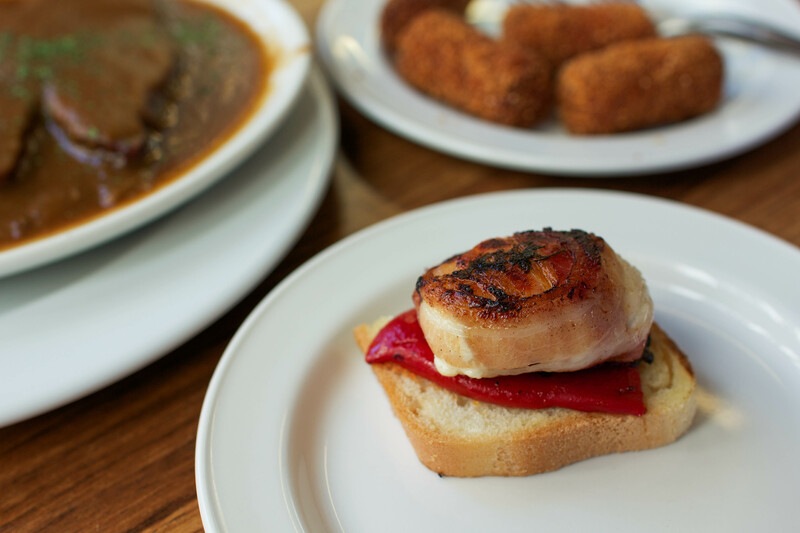 Thankfully, avoiding gluten doesn't mean missing out on the city's best pintxos bars. 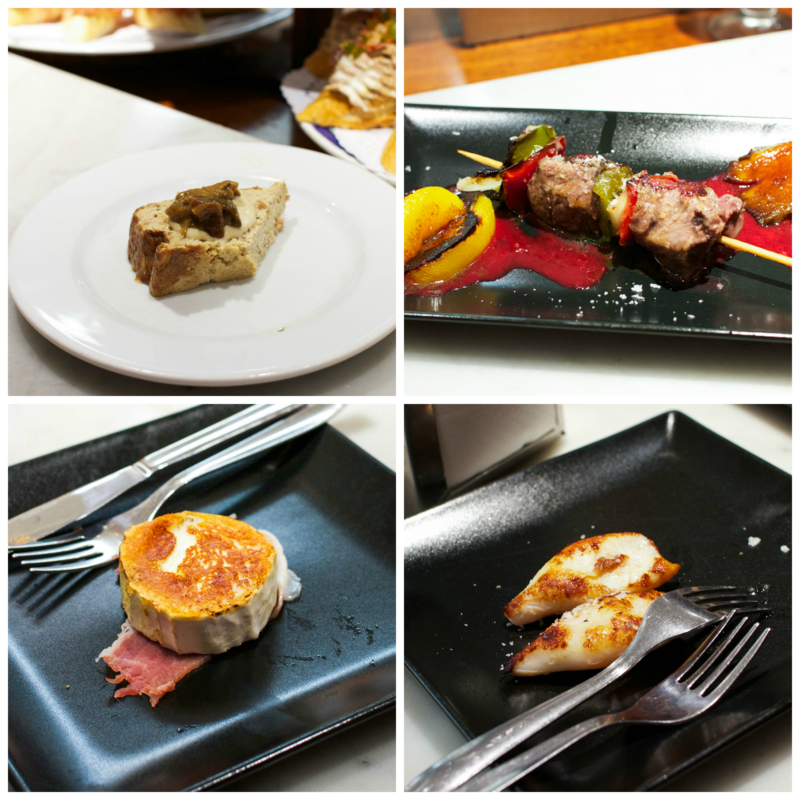 Eating gluten-free in San Sebastián is no easy feat, but it's certainly not impossible. The biggest challenge to overcome is the crowds, seeing as swaths of locals and tourists bombard the best pintxo bars during meal times. 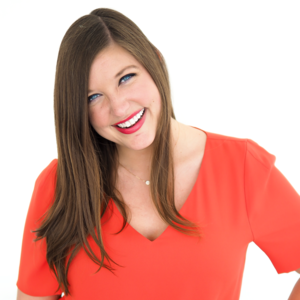 Getting a waiter's attention to place an order is fairly difficult in the first place, and holding their attention long enough to ask about potential allergens is even more challenging. Due to the sheer volume of people, waiters are typically in a rush and may not be the most friendly. But this is the culinary capital of Spain, so you do what you gotta do. Never assume that something is gluten-free, even if it sounds like it naturally might be. Always tell your waiters "Soy Celiaca" if you have Celiac disease, and be sure to ask if certain dishes can be made gluten-free (sin gluten) or made especially without the bread (sin pan). 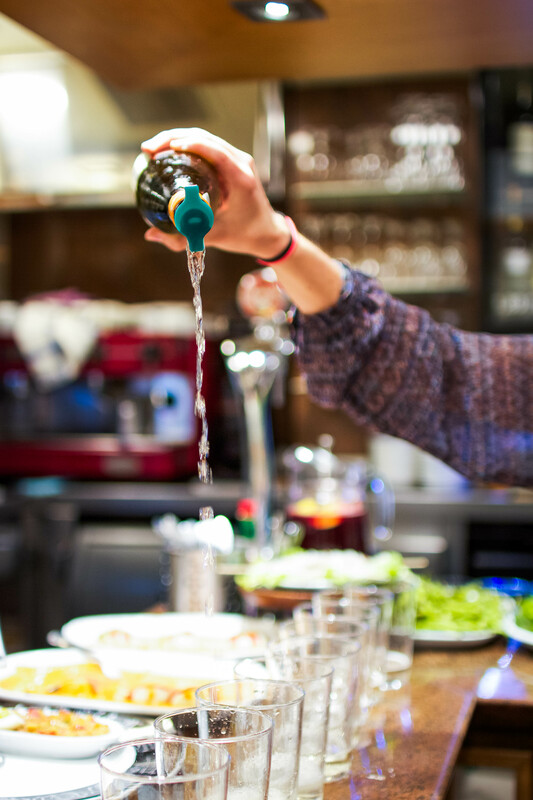 However, because many pintxos are pre-made and laid out on the bar buffet-style, you won't be able to order every pintxo you want without the bread. It's imperative to always state your allergy before you order. 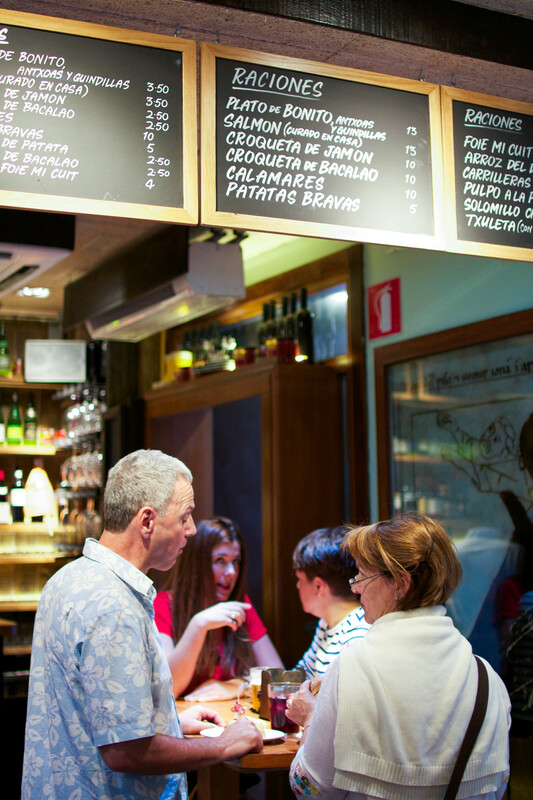 If you're nervous about the language barrier, print out a gluten-free restaurant card in Basque or in Spanish to show to your waiters. Gandarías was the only restaurant I went to that offered an actual GF menu, which made it the easiest and safest place to eat gluten-free in San Sebastián. They even served some of their pintxos atop gluten-free bread! Every dish we ordered was positively delicious, but the beef cheeks and goat cheese and bacon toast were the best dishes of our day. Due to the relative ease of ordering and the plethora of gluten-free options, this was my favorite pintxos bar in town. 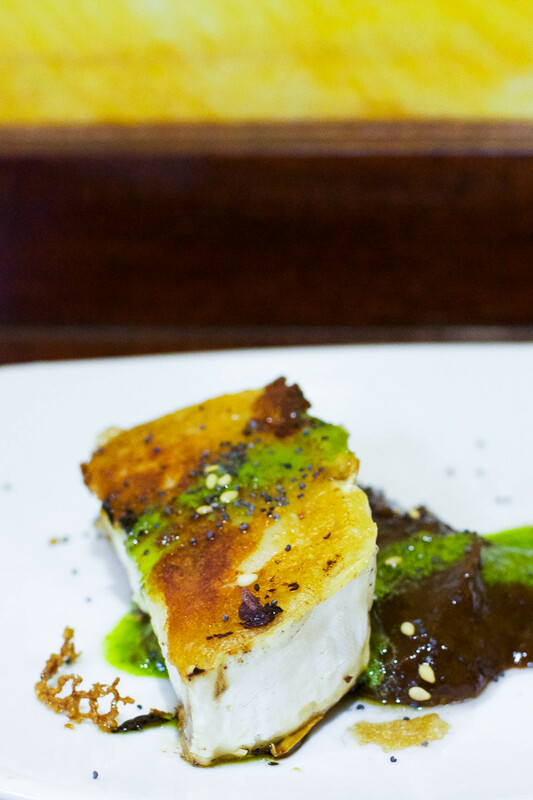 "Bacalao a la hoguera" roughly translates to "cod on a bonfire"
I've always had an aversion to fish, but when this smoking pintxo was offered to me, I simply couldn't pass it up. 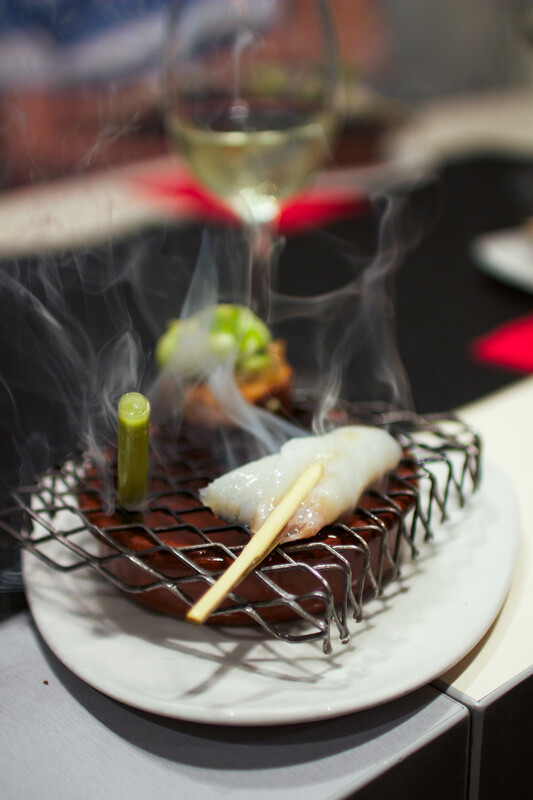 Served on its own metal grill, this "bonfire" cod was undoubtedly the best thing I ate all weekend. 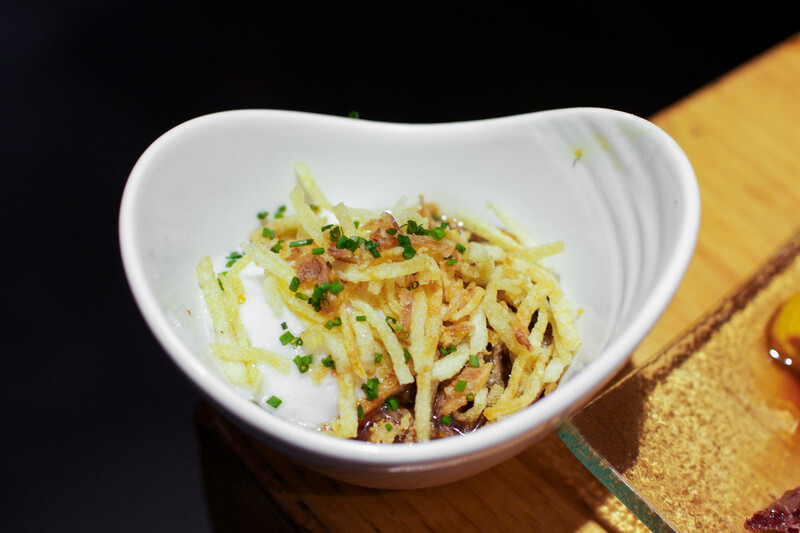 Although Zeruko's modern creations are a bit flashy, I would most certainly go back to San Sebastián just to eat this exquisite dish again. Is it even possible to say no to goat cheese? 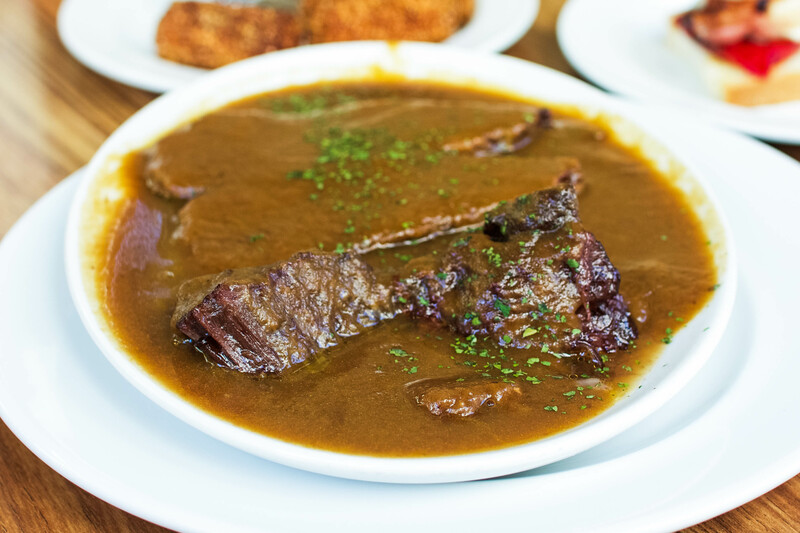 By the time we hopped over to Borda Berri after the lunch-time rush, they had already run out of many of their famed dishes. What gluten-free options they did have left, however, were remarkably delicious. The busy waiters were curt, but nonetheless helpful. For the best of Borda Berri, make sure to get there early! The waiters at Atari were by far the most knowledgable about gluten-free dining. They were also, unsurprisingly, the most friendly. Unfortunately, this is one of San Sebastian's more pricy pintxos bars, but the security of knowing that my meal was entirely safe to eat made it worth every euro. Atari also offered us a fluffy loaf of gluten-free bread that tasted remarkably similar to a real baguette. This pintxos bar was probably the least gluten-free friendly, seeing as the staff had a lot of trouble deciphering which pintxos contained gluten. (Or what gluten was, for that matter.) It all worked out in the end though, and I got to try a plethora of scrumptious dishes. (Who knew kangaroo could be so delicious?!) If you want to ask the waiters about gluten-free options, I recommend going before the restaurant gets very crowded. Prawns, where have you been all my life? Having hated seafood for most of my life, I had never actually tried a prawn before. Needless to say, this hole in the wall pintxos bar was the perfect place to try my first. I loved every bite! The chunky salsa atop the grilled prawns paired with tart Txakoli, a Basque sparkling white wine, sent my tastebuds to heaven. For most of these dishes, I had to specifically ask for them "sin pan", or without bread. Remember to specify this, otherwise your naturally GF pintxo will come on top of a big pile of gluten! Although I am usually sensitive to cross-contamination, I didn't get sick from any of these restaurants. That said, I did not look into how these bars prevent (or fail to prevent) cross-contamination, so eat at your own risk. 1 comment on "Eating Gluten-Free in San Sebastián"